This can be done only by the admin of a wiki site! 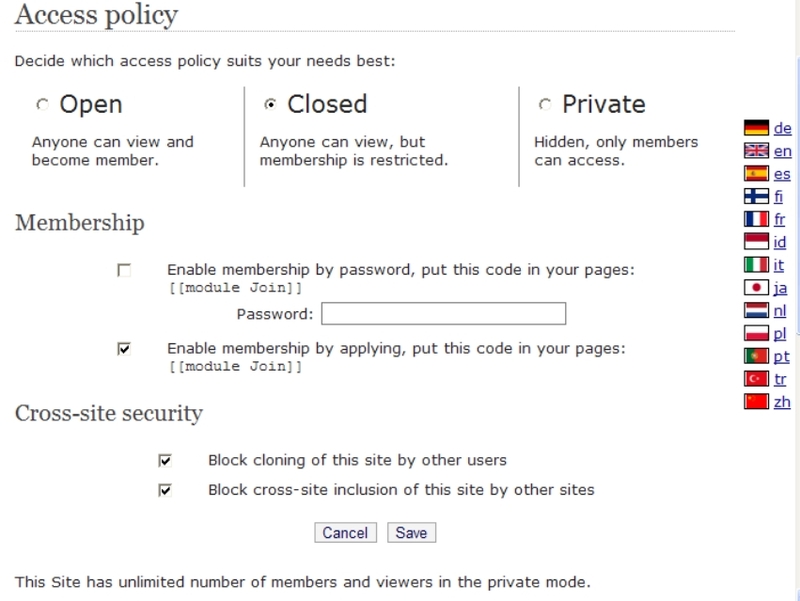 You can always change Your Site between having an "open", "closed" or "private" access policy. 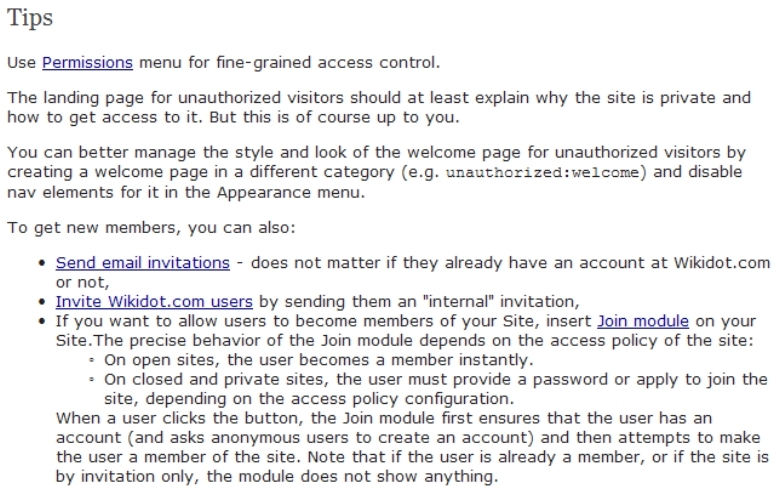 Site_manager / Access policy : this opens following frame (see inserted image at the bottom). 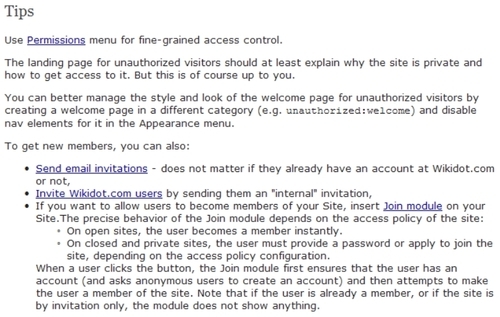 check the little box with the label "Make this Site private:". 1. 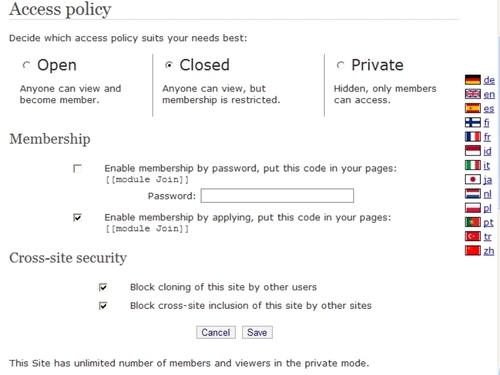 For all access policies, you are able to specify any categories that you would like to hide from people that would normally be able to view them, as part of the "Private Categories" feature.